In Vietnam, spring is the season of festivals. When peach and apricot flowers blossom, it’s time for ethnic minority groups throughout Vietnam to celebrate with spring festivals. The first month of the lunar year is considered as a season of spring festivals in Vietnam, which, according to historians, are demonstrating and preserving great national historical and cultural values. Official statistics showed that every year, more than 7,300 festivals take place around Vietnam, with most happening in spring. 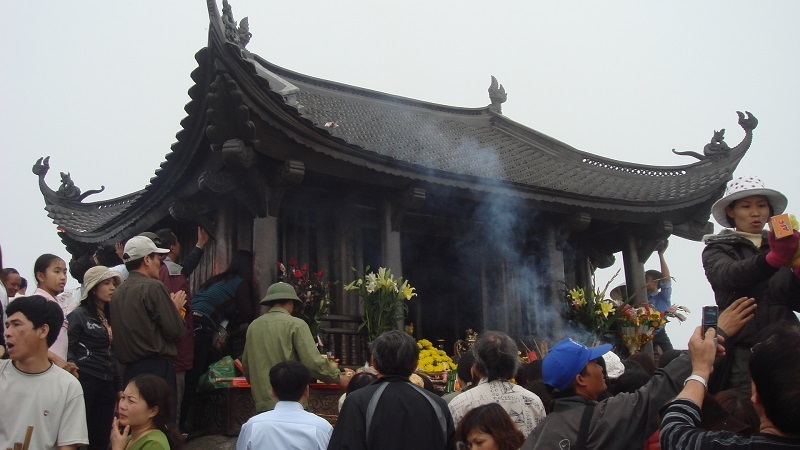 Major cultural festivals include Tran Temple (Nam Dinh province), Yen Tu festival in Quang Ninh, Lim Festival or dual folk singing festival (Bac Ninh), Huong Pagoda Festival and Giong Temple Festival ( Hanoi) and many other traditional festivals, which demonstrate people’s wishes for good luck, favorable weather and success. 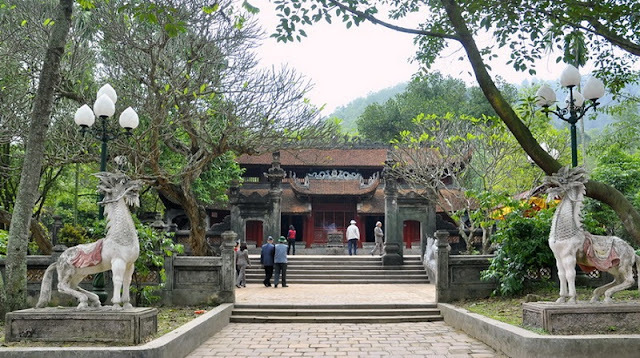 Huong (Perfume) Pagoda, located in Hanoi’s suburban My Duc District, is a vast complex of temples and shrines built into the Huong Tich mountain system in the 17th century. The annual three-month festival here is the longest and biggest Buddhist festival in the country, attracting thousands of pilgrims and tourists each year. The festival Perfume pagoda takes place from the 6th day of the first lunar month to the end of the third month. Visitors will have a chance to join Buddhist rites and enjoy the beautiful landscape around the pagoda on a boat tour. They can also partake in rowing, mountain climbing and singing contests. Another popular religious destination during the Tet holiday season is Yen Tu Mountain, one of Vietnam's major Buddhism centers, in the northern province of Quang Ninh. Yen Tu Festival starts on the 10th day of the Lunar New Year (February 17, 2016) and ends at the end of the third lunar month. When people make their way to the top of Yen Tu, either on foot or by cable cars, they can stop by the Thac Vang and Thac Bac ecotourism areas. This festival is celebrated at many places in Hanoi, with the two most famous versions held at Phu Dong Temple in Gia Lam District and Soc Temple in Soc Son District. The festival honors Saint Giong, a mythical folk hero and one of Vietnam's Four Immortals. Legend has it that the boy Giong grew into a giant hero, riding on an iron horse to defeat invaders. On the 6th day of the first lunar month, the festival begins with traditional rituals. It usually lasts in three days. This festival is one of the largest annual spring festivals in Vietnam. 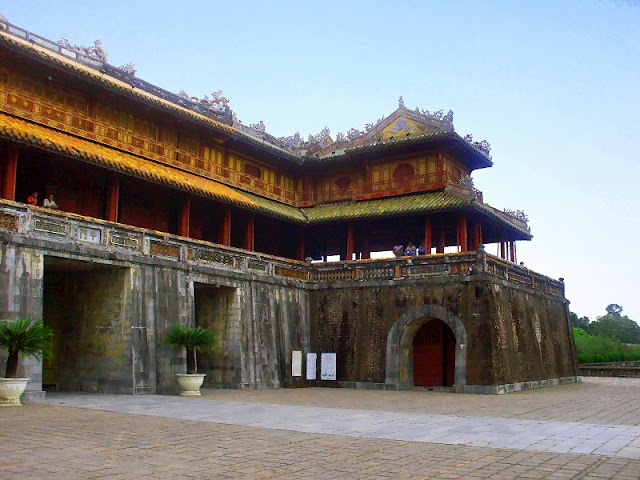 It takes place from the 13th to the 16th of the first lunar month at the national historical complex of Tran Kings' shrines and tombs in Nam Dinh’s Hung Ha District. Each year, people flock to the main ceremony on the 14th night to pray for gook luck and happiness. The festival also features a water procession, lion and dragon dances, folk singing, human chess, wrestling and martial arts performances. Cau Ngu means fish worshipping. The festival is held on the 12th of the first lunar month in Thai Duong Ha Village in Hue to commemorate the village’s tutelary god Truong Quy Cong, who taught villagers to fish and sell fishing equipment. During the festival, villagers took part in a net casting ceremony and a rowing contest. The annual spring festival on Mount Ba Den in the southern province of Tay Ninh takes place from the 10th to 15th of the first lunar month. Ba Den (Black Lady) is said to be the highest mountain in the southern region, at 886 meters above sea level. The festival attracts hundreds of thousand of devotees and tourists every year. Cable cars take them from the foot of the mountain to the middle, where Ba Den Temple is located. The pagoda offers vegetarian meals to visitors.